A recent study conducted by CVS, together with Harvard Medical and Brigham & Women’s Hospital highlights medication adherence for four common diseases: high blood pressure, high cholesterol, diabetes, and depression in 50 states. In this study they layout the factors that undermine medication non-adherence among patients and will help identify solutions to health care professionals for medication non-adherence. Non-adherence to every day medications has been seen as a major public health problem. Non-adherence can lead to worsening health which can increase overall health care costs. Through this research study it is hoped that what is learned will help with health care, and will also help health care professionals understand patient behavior and patient non-compliance. E-pill isn’t just a great medication reminder! Now the food industry wants in on the benefits we have all been receiving. They are starting to use the popular e-pill medication reminder known as the Multi-Alarm Pocket XL. This device is now being used across the United States in your local fast food restaurants. That’s right, this reminder device is now a food timer. With up to 37 daily alarms and a missed “pill” indicator, it is no wonder why food industries would also want to take advantage of this great e-pill. Popular fast food chains are required to use time tag systems in which they must check on different food items at different times throughout the workday. Depending on their color-coding system, different foods are to be changed at different times. The Multi-Alarm Pocket XL works great in these situations because of its ability to alarm up to 37 times on the hour and half hour. This gives the workers a reminder to check on the food items at the correct times throughout the day, without missing a beat! Just as it is important to take your medication on time, it is important to make sure customers are receiving the freshest food. 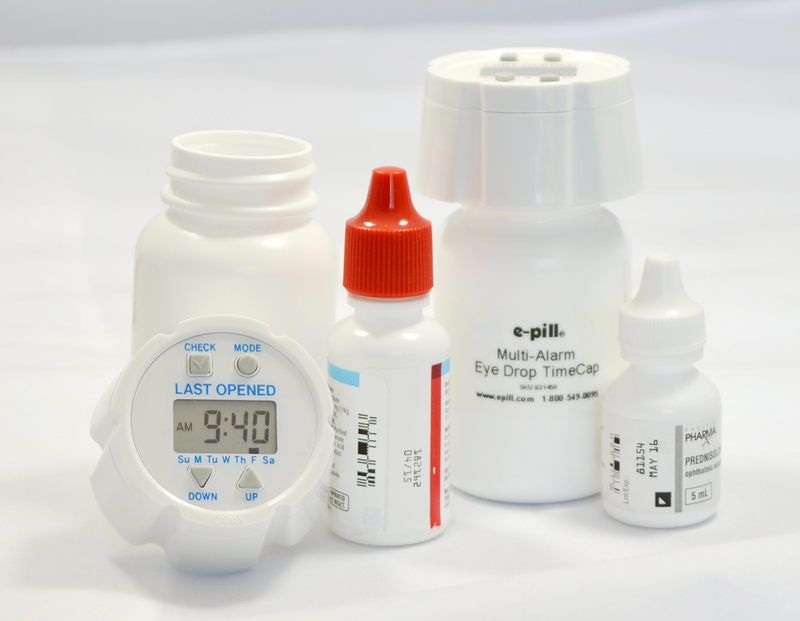 It is during those chaotic times at home, or in the kitchen, that the Multi-Alarm Pocket XL will help to remind you to stay on top of all your daily duties, whether it be taking your medication, or turning over food to maintain high food safety standards. Attention Moms Dads and Caregivers alike! Are you tired of juggling all of your child’s medications? Is it getting harder and harder to keep track of when your child’s last dose was? The e-pill “Pediatric” Pillbox just may be the answer. It will help you to remember, identify, and organize your child’s medications, and best of all it is EASY. 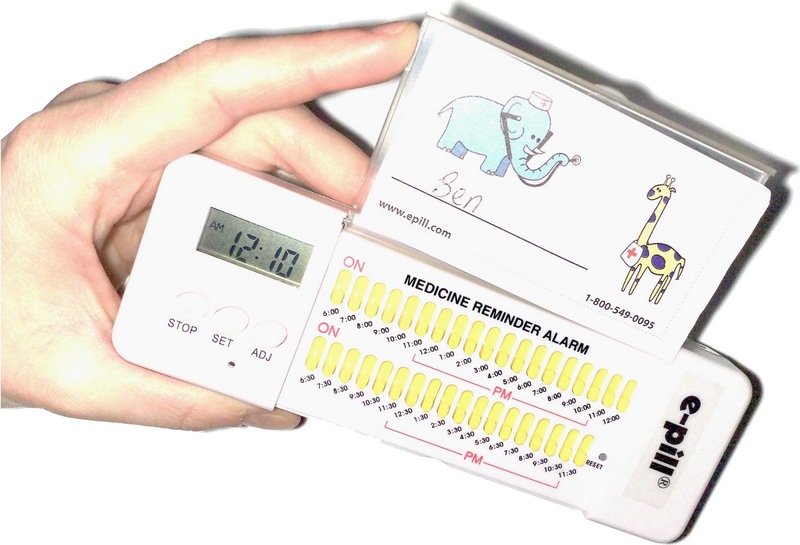 ﻿﻿﻿﻿﻿﻿﻿﻿This is a multi-alarm pill box with an E-Z Set Timer. 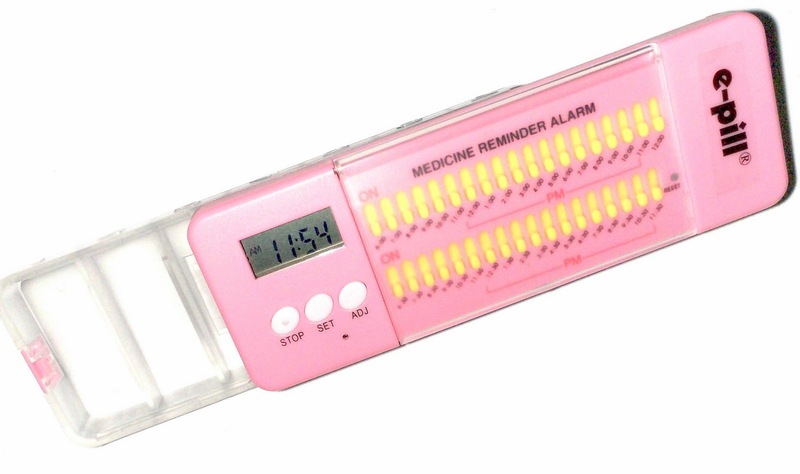 You will now be able to organize your child’s daily pills and be reminded up to 37 times per day with a loud alarm. There is no reset required, and it will automatically reset at midnight. That means you can set the alarms once and not worry about changing them again until..ever! You can now spend more time with your child and less time counting pills and watching the clock. 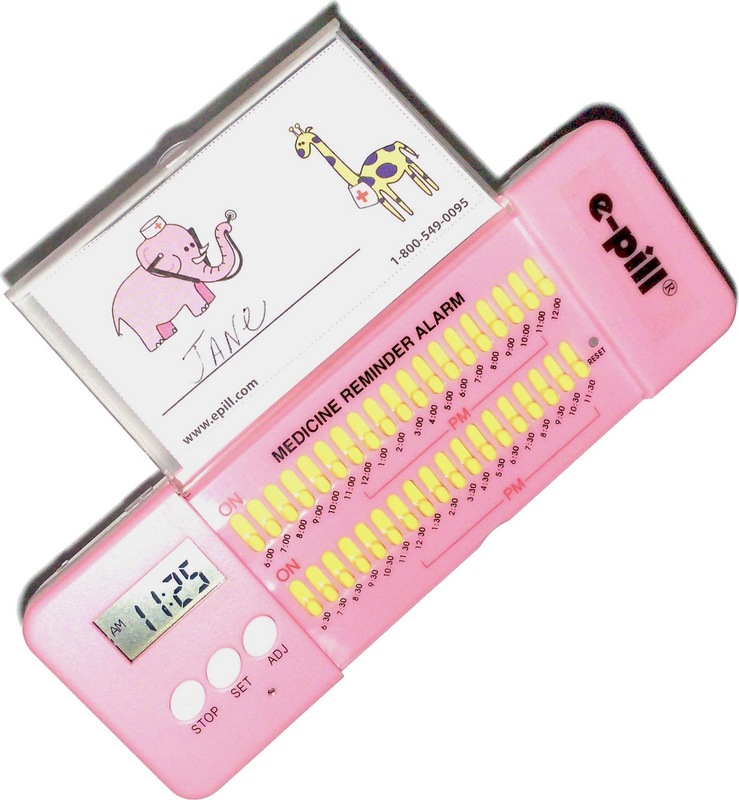 ﻿﻿ The e-pill Pediatric Pillbox comes with an easy to open sliding pill tray with a safety lock, an easy to read display screen, and a missed pill indicator. The alarm is easy to hear and will sound for 10 seconds on 10 seconds off for up to 4 minutes (or until STOP button is pressed). 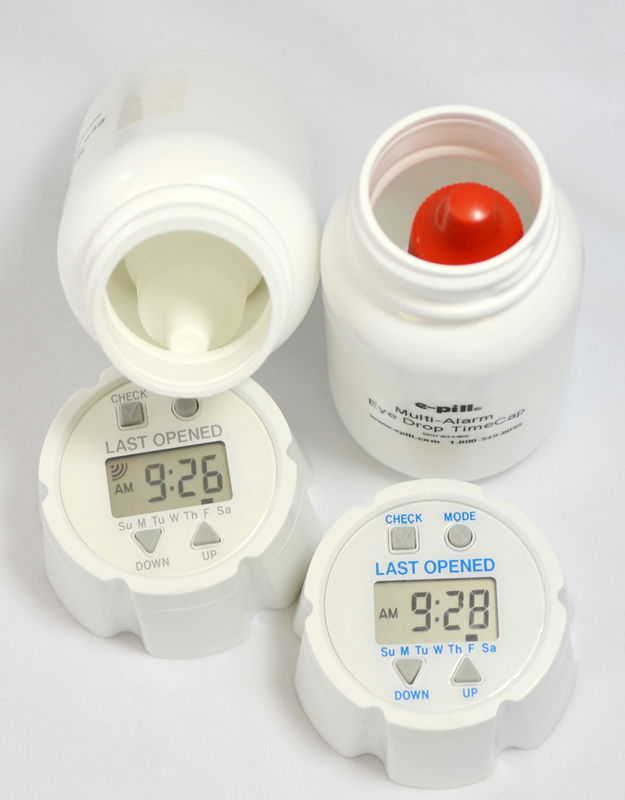 If medicine is not taken when alarm sounds, a missed pill message flashes on the display. There is one switch for each hour and half hour. 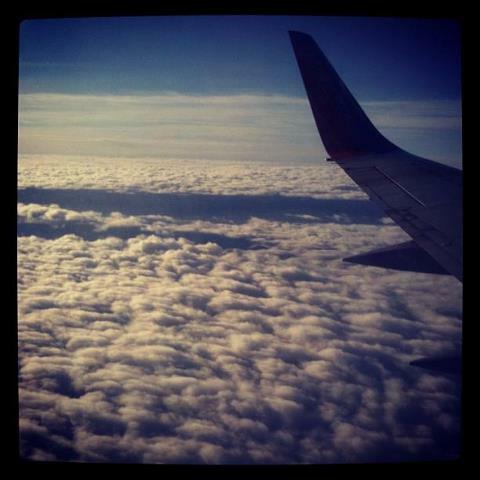 Once the alarms have been set, there is no reset required. The pill box slides out with 7 compartments labeled Monday thru Sunday and can fit up to 18 aspirin sized tablets in each compartment. The e-pill Pediatric Pillbox is easy to use, and will help to keep your child’s medication organized and taken on time. Are you ready to stop stressing about doses and pills for your child? Then stop the stress today and try this product from e-pill!